The 11.COM session has been in many ways a moving experience. 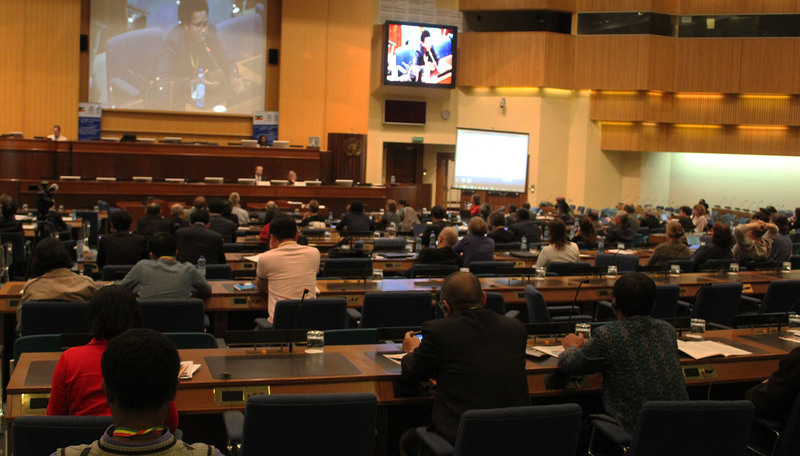 We followed the proceedings of the Intergovernmental Committee Meeting attentively. Throughout the week the NGOs have taken decisive steps to take forward the ICH NGO Forum as a loyal and resilient partner in the promotion of the Convention’s spirit and practices. c) and working on a program of Capacity Building for accredited NGOs throughout all regions. 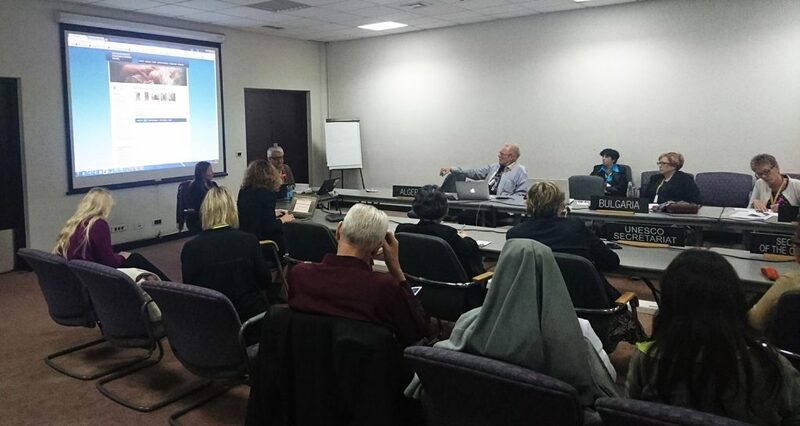 The ICH NGO Forum has set up a Steering Committee since IGC 10.COM to represent the Forum and coordinate, encourage, facilitate and support its functions. This year at 11.COM the mission, structure and procedures for the Steering Committee were formulated. First elections will be held at the occasion of IGC 12.COM in 2017. The six members in the Steering Committee will be working as focal points for the different regions, bringing together all accredited NGOs in the Forum globally. The Forum will be organizing the firstCapacity Building Project for accredited ICH NGOs involving all regions in 2017, and in coordination with UNESCO. We thank Indonesia for confirming its decision to cover part of the start-up costs of this project. With ICHCAP, the Category II -International Information and Networking- Centre for Intangible Cultural Heritage in the Asia-Pacific Region (ICHCAP), the Forum has been participating in regional and international networking initiatives involving ICH NGOs. In 2017 we are planning a program in which the networking experience of ICHCAP will leverage the regional networking efforts we are launching and facilitating with the ICH NGOs in the Forum for the various regions. In addition to the 11.COM sessions, the NGOs had every day working groups and Forum meetings this week. In 2016 ‘Traditional medicine, and transmission of this knowledge’ was the focus theme of Heritage Alive, the online journal of the ICH NGO forum. 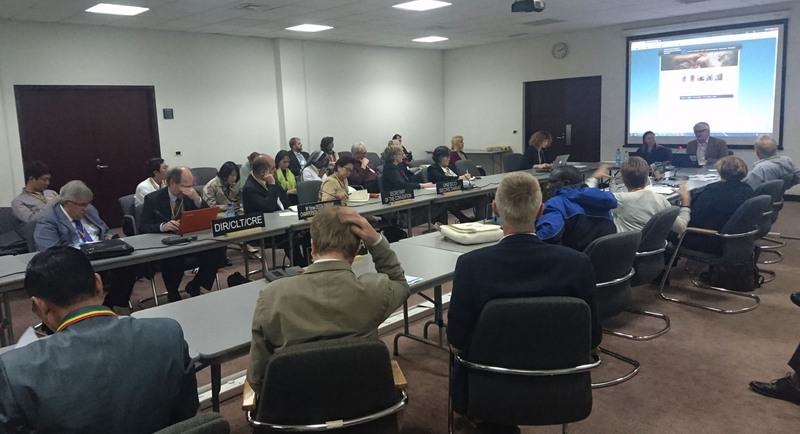 Two published articles from Uganda and Austria were presented in an open session during the week. The Editorial Board is planning to publish a printed edition of Heritage Alive with articles on traditional medicine in IGC 12.COM. Working groups on Capacity Building and on African NGOs also discussed and planned way forward during this 11.COM week in Addis Ababa. We sincerely request the State Parties to support our need for funding to carry out the concrete plans for capacity building and networking projects by which the NGOs strive to contribute progressively to the implementation of the Convention. We are happy to share that as part of our efforts to streamline organizational governance, the Forum will now also open a bank account for transparent management of funds. The fact that a majority of States Parties did not submit their periodic report represents a concern. Indeed, these reports represent an excellent occasion for the NGOs cooperation. The ICH NGO Forum would like to reconfirm its confidence to the important contribution of the Evaluation Body. Its evaluation of elements on the lists, registers and requests for assistance of the Convention has been very rigorous. The ICH NGO Forum is worrying about the fact that its recommendations were nearly systematically turned around. We consider the role of the Evaluation Body as crucial in relation to respect the values and the spirit of the Convention. The Forum reiterates that the success of the Convention should not be mainly be measured by the diplomatic gains related to inscriptions on the lists, but all the more by its real impact of its actions on numerous skills and practices transmitted from generation to generation, and in particular those who are in danger. The ICH NGO Forum welcomes the initiative taken for the elaboration of a Global Results Framework for the 2003 Convention. The Forum and the NGOs wish to participate actively in the future open working group dedicated to establish the Global Results Framework. The ICH NGO Forum thanks the Committee and the hosting Ethiopian authorities for all the support provided to the accredited NGOs taking part to the 11.COM, viz. funding participation of 22 NGOs, facilitating meeting rooms and interpretation services in the NGO symposium and the Annual Plenary Meeting, and the warm hospitality extended to us.